You are here: Home / Android / Minix Neo X8-H plus review, available for $199. There are many media streaming devices which are gaining popularity, like Chrome cast but still there has to be fully functional Android box that can be connected to your TV. 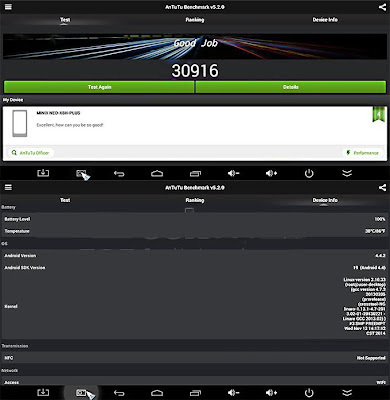 An android box can perform every function that conventional Android Smartphone’s and tablets can do, apart from just streaming music and videos. 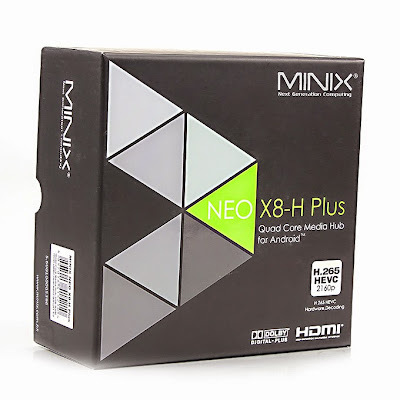 One of these smart Android boxes called as Minix Neo X8-H plus does this job for you. 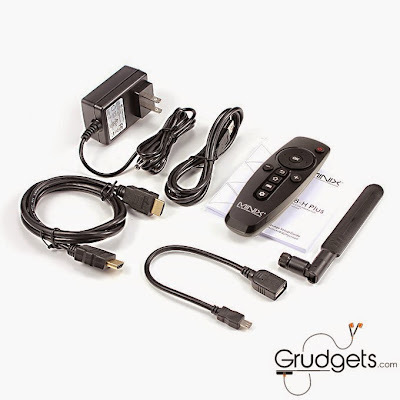 It is extremely small device that converts your television set into full fledged Android TV. The design of Neo X8H plus is quite simple. It might remind you of your router! It looks exactly like that, with MINIX logo present on the top. There are series of ports present on the two sides of the device. There is standard 5V DC jack for power, full Ethernet port for connecting to wired networks, two full sized USB ports, followed by an optical sound output, HDMI port and recovery switch. On the other side, there is a Power button followed by two 3.5 mm jacks for each earphone and microphone, one USB cable, full sized SD card reader and micro USB OTG port. The box has been designed to stay flat with the Wi-Fi antenna that is pointed upwards from the side. You can even do away with the antenna, if your device is placed close to your Wi-Fi hotspot. Under the hood, it packs Amlogic’s latest 4K chipset which is quad core processor clocked at 2.0 GHz. This processor is coupled with octa core Mali 450 GPU, which is capable of playing UHD (4K) videos easily. Apart from that, there is also 2 GB DDR3 included, so that you do not face any lags while browsing on your television sets. The internal storage is about 16 GB, which is good enough to install decent number of apps. You can even install an external SD card for more storage. To make things simpler, there is also an Infrared (IR) remote control included, which needs two AAA batteries for operation. The remote control includes basic keys like home, return, recent and volume controls, nothing to fancy. This Android box comes pre-installed with Android v4.4.2, which has been greatly improved within the past few months. 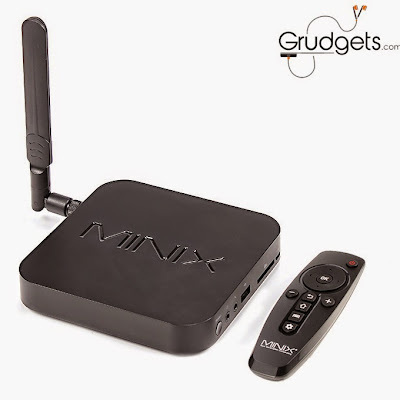 The previous Minix models also had the same firmware, but there were few bugs which have been resolved with OTA updates. This one comes with latest firmware. Along with that, there is also Google play services and Google play store pre-installed, so you can browse and download from over 1.5 million apps. It is power efficient hub, just needs about 3 watts of power when idle. On the first boot, you will be prompted to setup few things. That isn’t so difficult, you can do it easily. There are two home launchers pre-installed, one is the Google now and other one Minix Metro, which comes from the Minix team. The Minix launcher looks quite inspired from the Microsoft, everything has been arranged in form of tiles, just like on Windows 8.1. You can even use any third party launcher, like the Nova launcher. Overall, Minix Neo X8-H plus is good device which offers complete set of Android apps unless streaming services for about $159.99. You can avail 5% discount when you buy it from GeekBuying, and avail free shipping along with it. Alternately, you can even buy it from Amazon, for the same price.